Traumatic Brain Injuries (TBI) Have Lifelong Consequences - Make Sure You Have Adequate Representation. A person who suffers a blow or jolt to the head (a closed head injury) or a penetrating head injury may frequently develop a condition that disrupts the function of the brain, known as a traumatic brain injury (“TBI”). TBI is a leading cause of death and disability in the United States. Each year, 2.8 million people sustain a traumatic brain injury. 50,000 of those die from the TBI, and 282,000 people require hospitalization. Each year, 80,000 to 90,000 people will sustain a long-term disability as the result of a TBI. The Centers for Disease Control and Prevention estimate that at least 5.3 million Americans currently have a long-term or lifelong need for help to perform activities of daily living as a result of TBI. The leading causes of traumatic brain injury are falls, motor vehicle accidents, being struck by or against an object, and assaults or abuse by another person. TBI can also result from a violent jolt of the head such as one might experience in a rear-end automobile collision (“whiplash”) may result in serious brain injury. In a violent collision, the head snaps forward and the brain hits the front of the skull; then the head snaps backward and the brain hits the back of the skull. These impacts can cause serious brain injury. Shaken-baby syndrome is an example of a serious brain injury without a direct blow to the head. Even in this age of advanced medicine, there is no cure for a TBI. Recovery from a brain injury depends on the brain’s “plasticity,” that is, the brain’s ability for other areas of the brain to take over the functions of the damaged areas, to “rewire” itself. If you have suffered a blow or jolt to the head, it is important that you receive medical evaluation and treatment as soon as possible. There are drugs and procedures available that can limit the “secondary” damage caused by swelling of the brain, when administered soon after the injury. Traumatic brain injuries fall into three categories: mild, moderate, and severe. Doctors classify the injury using a test called the Glasgow Coma Scale (GCS). They examine the patient and measure responses to visual, vocal, and physical stimuli. A person with a mild TBI scores 14 or above on the GCS. Typically, this person has experienced a traumatic blow to the head and a short disruption in brain function, such as loss of consciousness, and/or confusion and disorientation for less than 30 minutes. 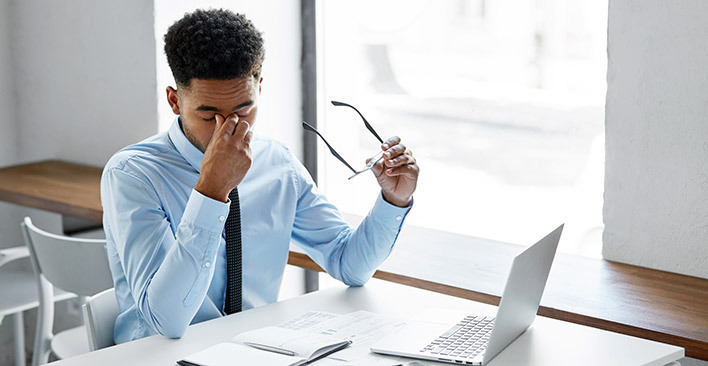 Common symptoms include fatigue, headaches, visual disturbances, memory loss, poor attention and/or concentration, sleep disturbances, dizziness and/or loss of balance, irritability, feelings of depression, and, rarely, seizures. Less-common symptoms associated with mild TBI include nausea, loss of smell, sensitivity to sound and lights, becoming lost or confused, and slowness in thinking. 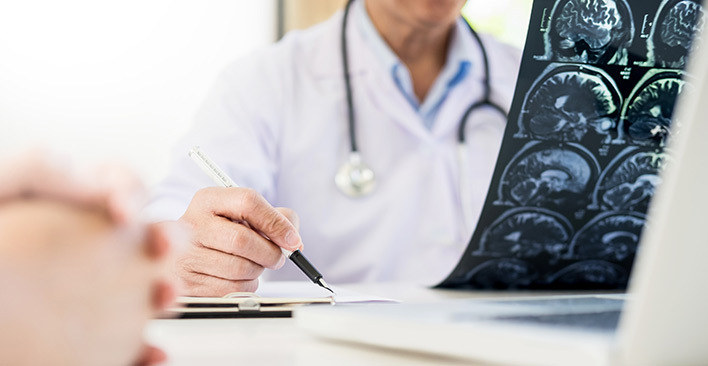 Mild traumatic brain injury is the most common TBI, and people often fail to identify the cognitive symptoms at the time of the injury, but instead may notice them as the person returns to work, school, or housekeeping. Friends and colleagues may notice changes in the person’s behavior before the injured person realizes anything is wrong. 15% of people with mild TBI have symptoms that last one year or more. The GCS classifies brain injuries as moderate with a score between 9 and 12. Moderate TBI sufferers usually experience a loss of consciousness between 30 minutes to six hours, and/or post-traumatic amnesia of greater than 30 minutes but less than 24 hours. Moderate TBI may be the result of a skull fracture. Symptoms are similar to those listed for mild TBI, but there may be long-term physical or cognitive deficits from a moderate TBI. Much will depend on the type and location of the specific injuries to the brain. Rehabilitation will help to overcome some deficits and help to provide skills to cope with any remaining deficits. A severe brain injury is one with a GCS score lower than 9. Severe brain injuries are life-threatening and often accompanied by a loss of consciousness of more than 6 hours or posttraumatic amnesia lasting more than 24 hours. A sever TBI survivor will typically face long-term physical and cognitive impairments. The range of the deficits can vary widely from a vegetative state to more minor impairments that may allow the person to still function independently. The person will require extensive rehabilitation to try to overcome some of the deficits and earn strategies to cope with others. The long-term effects of TBI depend on a number of factors, including the severity of the initial injury, the rate and completeness of physiological healing, the types of functions affected, the resources available to aid in the recovery of function, and other factors. Moderate to severe TBI can cause a wide range of functional changes affecting thinking, language, learning, emotions, behavior, and sensation. Executive functions, or the processing of substantial amounts of complex information involved in planning, time management, decision making, coordinating events, adapting to change. TBI may cause the person to have a seizure, which may or may not reoccur. In a personal injury accident, a seizure is more likely to occur due to brain trauma, especially “open” or penetrating wounds to the brain. TBI can also increase the risk for such conditions as epilepsy, Alzheimer’s disease, Parkinson’s disease, and other brain disorders that become more likely as the person grows older. One of the most common problems among people who sustain a TBI is fatigue. There are three types of fatigue: (1) physical fatigue, feeling tired and sleepy; (2) psychological fatigue, in which the person can’t be motivated to do anything; and (3) mental fatigue, or difficulties with concentration and focus. Physical fatigue is due to muscle weakness and can result from working harder to do things that were previously easy, including dressing, housework, and even walking. Physical fatigue tends to worsen in the evening, after a busy day, but improves after a good night’s sleep. Often, physical fatigue will decrease as you become stronger, and more active. To treat psychological fatigue, it is necessary to find its cause. For instance, if the psychological fatigue is due to depression, medication and therapy may be necessary to help treat the condition. Major depression in the general population runs at about 5 or 6%; it is ten times greater with TBI survivors. Anxiety occurs in twice as many TBI sufferers than in the general population. This may take the form of post-traumatic stress disorder, in which the person has “flashbacks” in which they relive the event, or the development of phobias, in which the person experiences dread centered on a specific situation, such as being in a car, or hearing loud noises. Persons who experience a mood disorder such as depression or an anxiety disorder, such as PTSD, a specific phobia, or generalized anxiety, may need to take appropriate psychiatric medication and undergo months, even years, of psychotherapy. Mental or “cognitive” fatigue after a TBI happens because the person must concentrate harder to do tasks. The more the person must concentrate, the more mentally fatigued he or she may become. In some people, mental fatigue causes irritability; others have headaches. Mental or cognitive fatigue is the least-known type of fatigue associated with TBI. Most spontaneous improvement from a TBI occurs within the first month after a brain injury. Some additional gains may occur over the next three to six months. The long-term effects of a TBI are different for every person. Some may experience only subtle difficulties, while others will have moderate dysfunction, while to still others the TBI may be life-threatening. With TBI, the systems in the brain that control our social-emotional lives often are damaged. Thus, after injury, individuals with TBI may be unable to function well in their prior social roles. They may be confused easily when there is a change in normal routines, they may be unable to switch to a different tactic or a new task when encountering difficulties. Some TBI survivors may jump at the first solution they see, substituting impulsive responses for considered actions. They may be unable to go beyond a concrete appreciation of situations to understand abstract principles needed to carry learning into new situations. Personality can change substantially or subtly following injury. The consequences for the individual and his or her significant others may be difficult, as “the person who once was” is no longer there. The person who was an optimist may now be depressed. The previously tactful and socially skilled negotiator may now blurt embarrassing comments. The person may exhibit a variety of other behaviors: over-dependence, mood swings, lack of motivation, irritability, aggression, lethargy, disinhibition, or inability to modify behavior to varying situations. The severity and effects of the injury may not predict the impact in a person’s life. Each of us draws on various parts of our brains in diverse ways. For example, a severe injury to the frontal brain area may have less impact on an agricultural worker’s job performance than a mild frontal injury would have on a physicist’s work. The associated damage to any person’s life will depend on pre-injury lifestyle, personality, goals, values, resources, as well as the individual’s ability to adapt to changes and to learn techniques for minimizing the effects of brain injury. Some suggest that “recovery” is a misnomer and that “improvement” better describes what happens eventually after TBI. The word recovery suggests that that the effects of TBI will disappear, while truthfully, improvement is all that happens in most cases. With TBI, some effects may disappear after a couple of years, but more frequently these long-term changes linger over the course of the person’s life. Brains do not heal like broken limbs, and everybody’s brain is different. Although they may superficially appear alike, no two brain injuries are the same and the consequence of two similar traumatic brain injuries may be vastly different. Monetary damages you may receive when you have sustained a traumatic brain injury include all your medical and rehabilitation costs, lost wages because you were unable to return to work, pain and suffering, emotional distress, and loss of enjoyment of life due to your impaired condition. 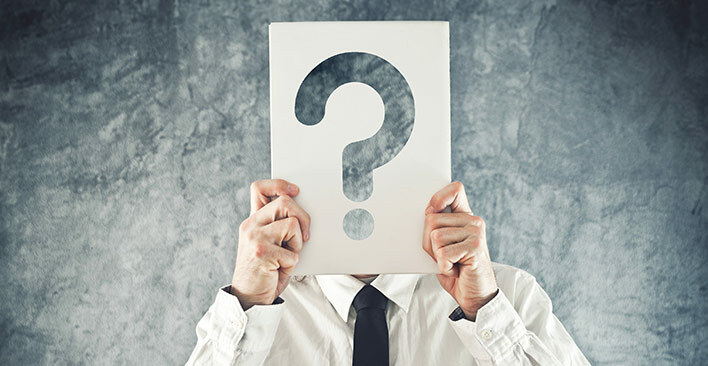 If you or a loved one has suffered a traumatic brain injury due to another person’s carelessness – such as an automobile accident caused by another person’s inattentiveness, or a slip and fall on a store’s slippery floor – it is important that you promptly seek representation by a personal injury law firm experienced in this type of injury.